Earlier this month GSA announced there would be some big changes coming to all the GSA Schedule solicitations in April 2017. With March quickly coming to an end, it’s time to look at what these changes are. In an article on GSA’s Interact website, they released information on changes that will be initiated in April through a schedule-wide Mass Modification, which will refresh all GSA MAS Contracts. This mass mod is of significant importance because April also happens to be a reporting month for large contractors who have an Individual Subcontracting Plan and therefore need to complete and Individual Subcontracting Report. There are some changes in this mass mod that will impact this reporting in the future. Anyone who has ever accepted as mass mod on your company’s behalf may be familiar with the tedious process of trying to accept a mass mod and read through this 60+ page document not knowing exactly what you are agreeing to in the end. The most important sections of a mass mod are the first pages that contain the summary of added, updated, and deleted clauses. You may also be confused when reading the updated clauses and it appearing that nothing has changed. Oftentimes updated clauses mean that the FAR or U.S.C. code referenced in the solicitation has changed, so you actually need to review those clauses to see what is different. This mass mod, as with most, is intended to unify the applicable regulations across all schedule solicitations. One such case of this is an update to the incorporation of the GSA’s Eligibility to Use GSA Sources of Supply and Services. 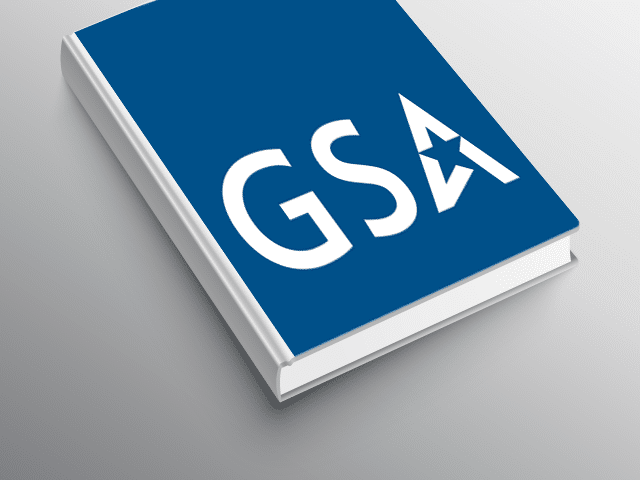 For those contractors not familiar with this document, you should familiarize yourself with it because it mentioned additional areas of opportunities for organizations you could be marketing your GSA Schedule. This list was last updated in July 2016, so this isn’t a major change to the types of entities eligible, it is more so just making sure all solicitations are referencing the correct source list. Due to these changes and new requirements, a new model subcontracting plan has been released to include separate goals expressed in terms of total dollars subcontracted and as a percentage of total planned subcontracting dollars. For Individual Subcontracting Plans, this means goals will also be expressed in terms of percentage of total contract dollars in addition to the goals expressed as a percentage of total subcontract dollars. This is to replace goals expressed in terms of percentages of total planned subcontracting dollars. To fit the order-level requirement, the plan includes subcontracting data for each order when reporting subcontracting achievements for IDIQ contracts intended for use by multiple agencies. There are several other minor updates including updates to clauses referencing the Service Contract Act, TAA Compliant Countries, and Basic Safeguarding of Covered Contractor Information Systems. The major changes to these clauses happened in previous refreshes, but if you are unfamiliar with what they are you should read through those clauses with this refresh. This refresh is a good reminder that your GSA Schedule is a living document not only from your perspective, but also from the government’s. It is important you stay up to date on current regulations and process changes. We will certainly be hearing more about these small business subcontracting updates, so keep checking back to this blog for more info.